1. Take stock of 2016. Analyze the results of your marketing expenditures over the past year. Did the money you spent correlate with higher traffic and more profit? Look at sales data in shorter time measurements so you can really drill down on which campaigns worked and which were lackluster. Did you have more visitors after that display ad? What happened after the coupon launch? 2. Survey your customers. 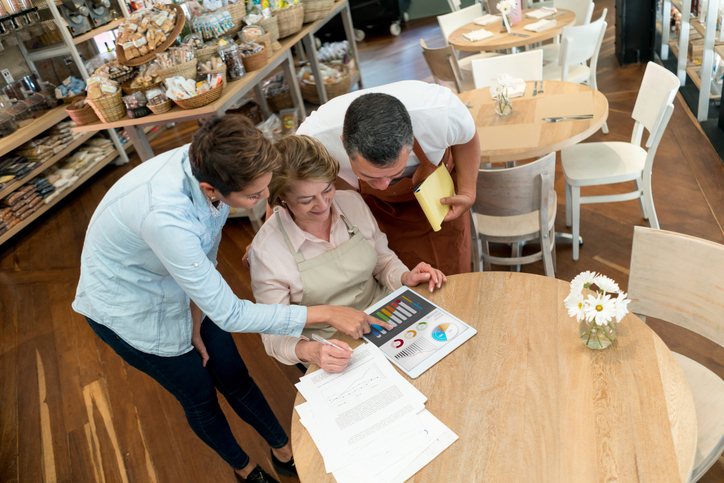 As much as numbers can tell you a story, talking to customers can give you even greater insight. Reach for your customer mailing list and email a survey. Ask clients how they first found you, and what convinced them to go through with the deal. You might hear some surprises in the feedback, such as how many people came to you after simply seeing your name on a pen, magnet, or other promotional item. 4. Adjust your strategy. It’s always always wise to keep an ear to the ground and stay attuned to the latest trends, developments, and mindsets. Pay attention to the competition and what’s working for them. Did their live product launch on social media get lots of buzz? Perhaps it’s time for you to explore live video. Also look beyond your industry; you may find fresh ideas that would work well for your business. 5. Tidy up. With your plan firmed up, it’s time to do a little housecleaning. Have key contracts in place — or set an early reminder so you have plenty of time to prepare. Review your marketing tools, such as business cards, brochures, web pages, and social media sites to make sure all information is correct and up-to-date. Remember to check your supply of promotional products, too. Are you running out, or is it time to try something different? You can order now with no rush fees, so you’ll be ready to make a lasting impression at the next sale, trade show, or networking event. Start the new year ready with your plan and the tools you need, and you’ll be on your way to making 2017 your best year yet!